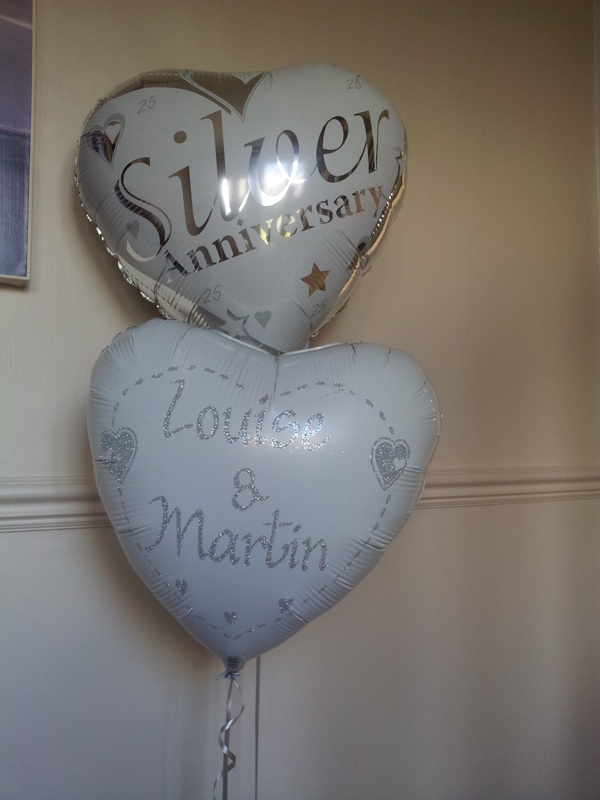 Probably the best personalised balloons in the country. 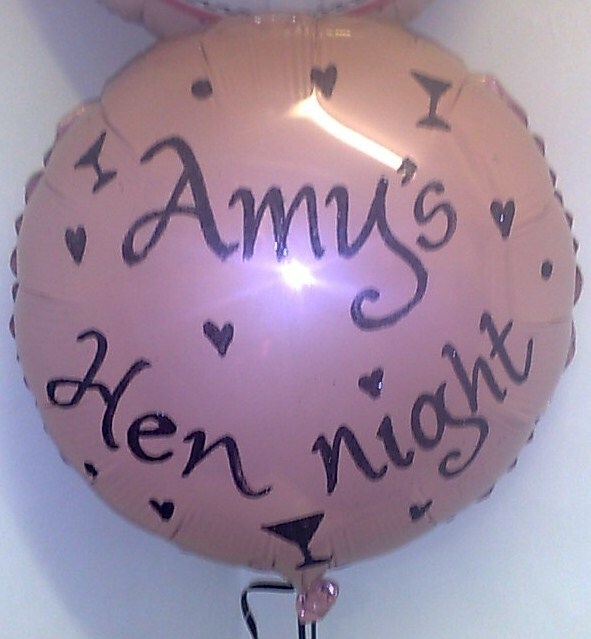 Helen and Kim our artists will hand write and draw whatever you require on a balloon. 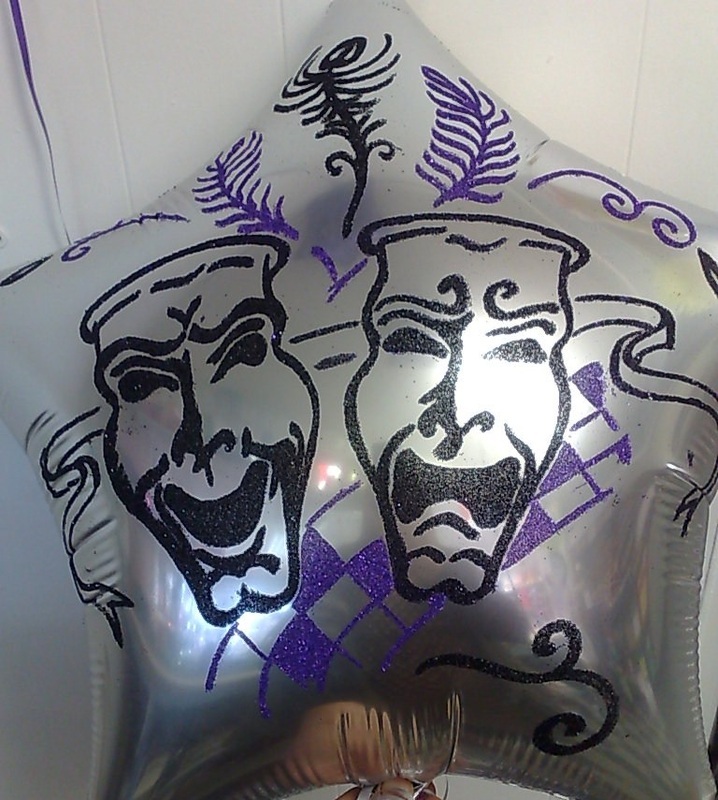 A great and memorable gift of any party or occasion. 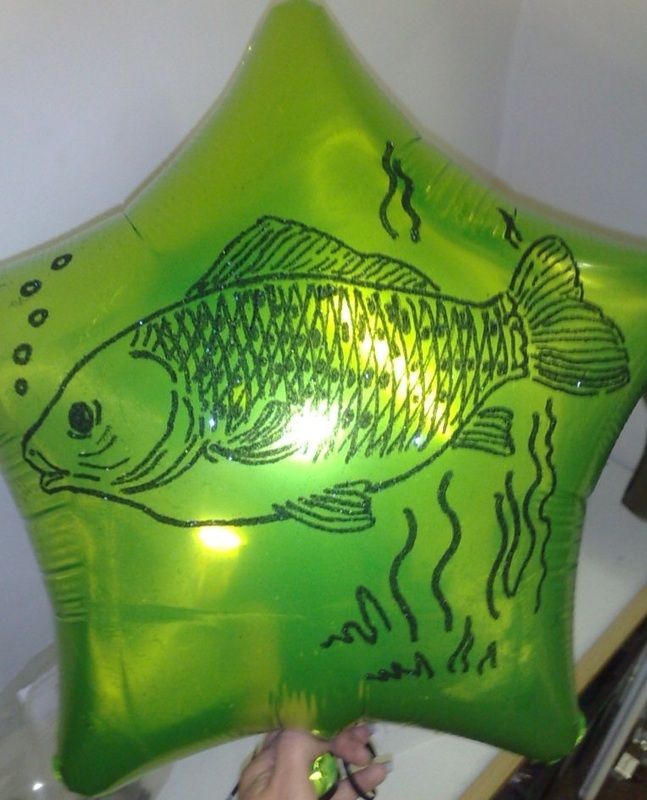 A single foil balloon (a colour of your choice) personalised to your requirement, inflated with helium, complete with ribbon and a plastic weight from only £6 (£6 price is for text plus either star or heart drawings the price is higher for more intricate personalisation e.g character drawings like the Ben 10 and Fish designs pictured below ). 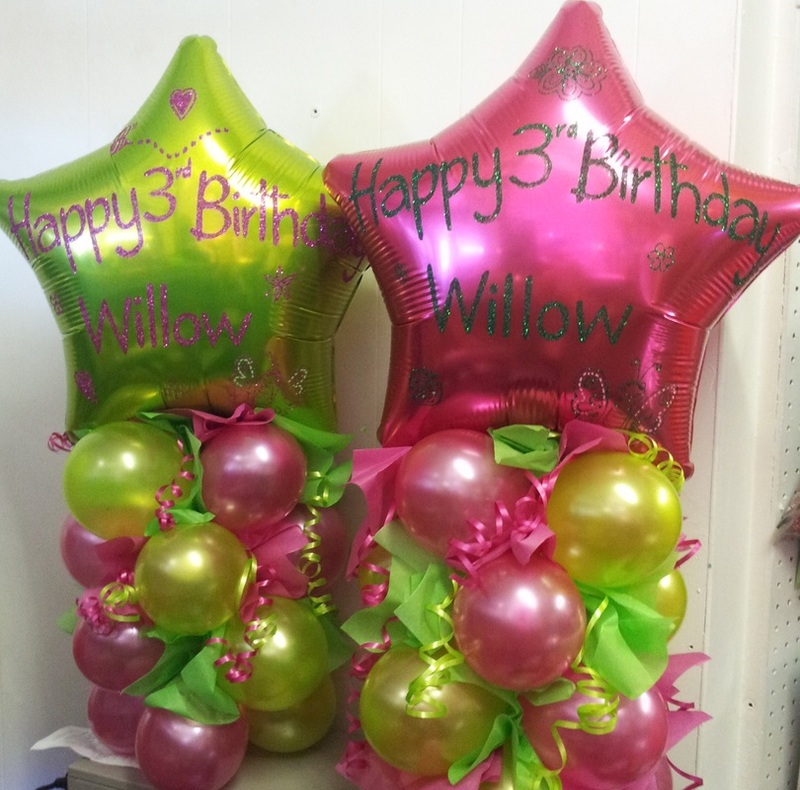 We can also do them in bunches - a personalised foil ( basic design ) with 2 plain latex balloons on a table weight is from only £8.50 . 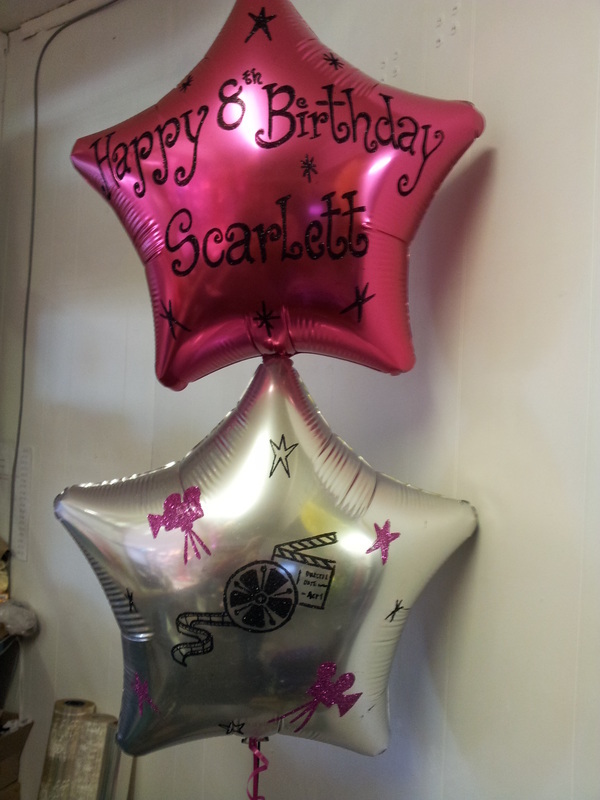 WE STRONGLY ADVISE ORDERING YOUR PERSONALISED BALLOONS IN ADVANCE. 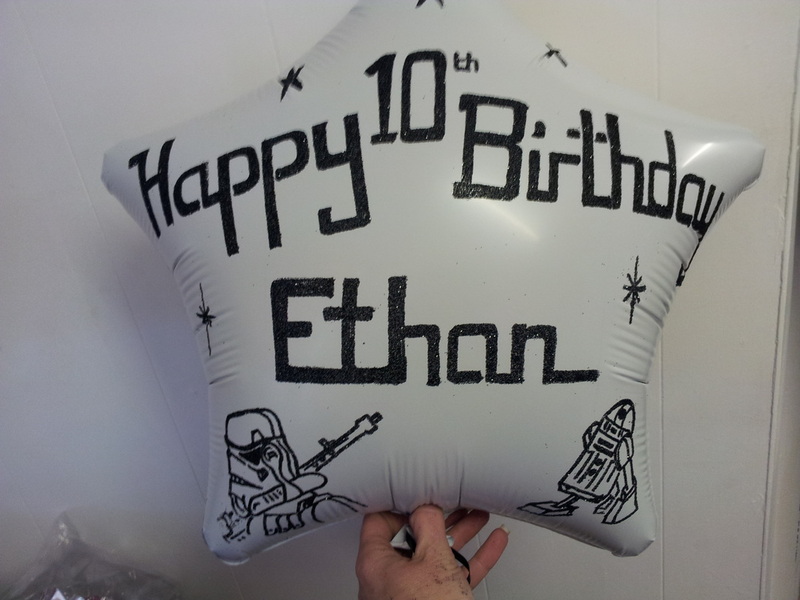 IF WE ARE BUSY OR HELEN OR KIM IS NOT WORKING THAT DAY THEN WE MAY NOT BE ABLE TO PERSONALISE BALLOONS WHILST YOU WAIT OR SAME-DAY. 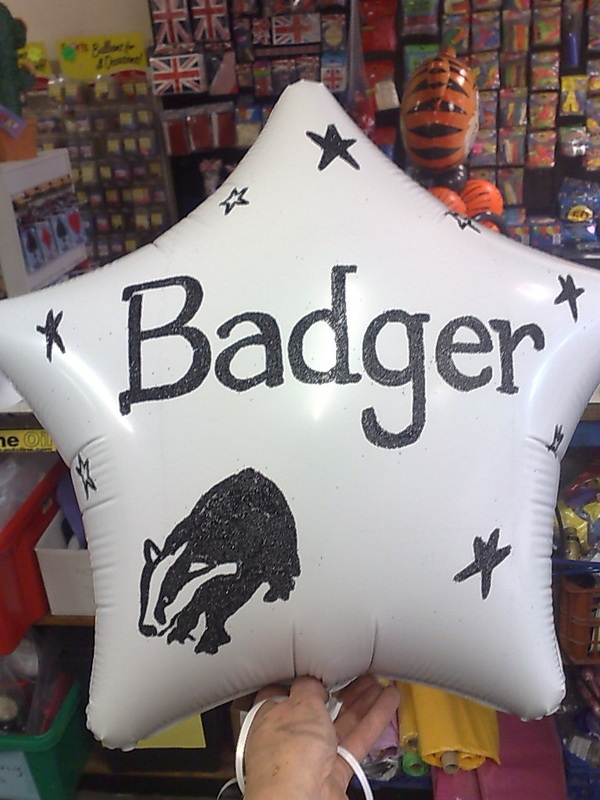 ​When we are able to offer a same-day service there will be a £1.50 surcharge - please order in advance to avoid this. 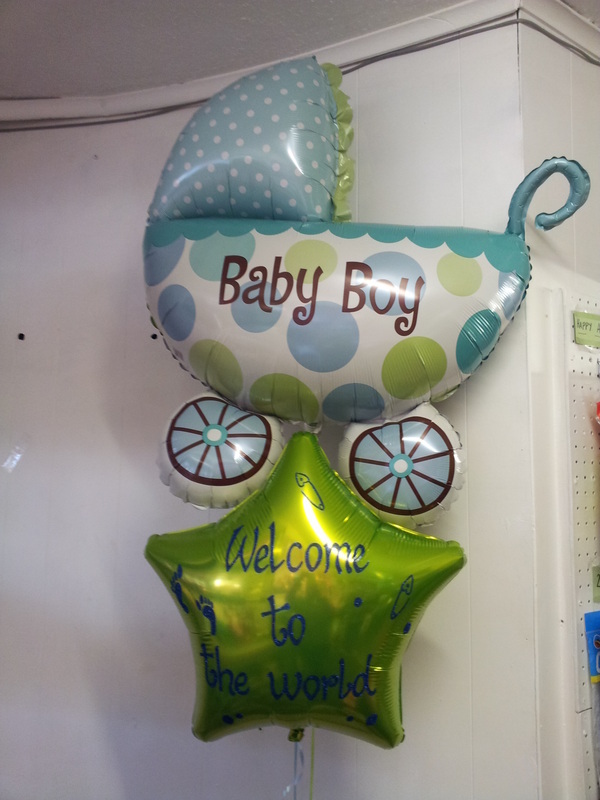 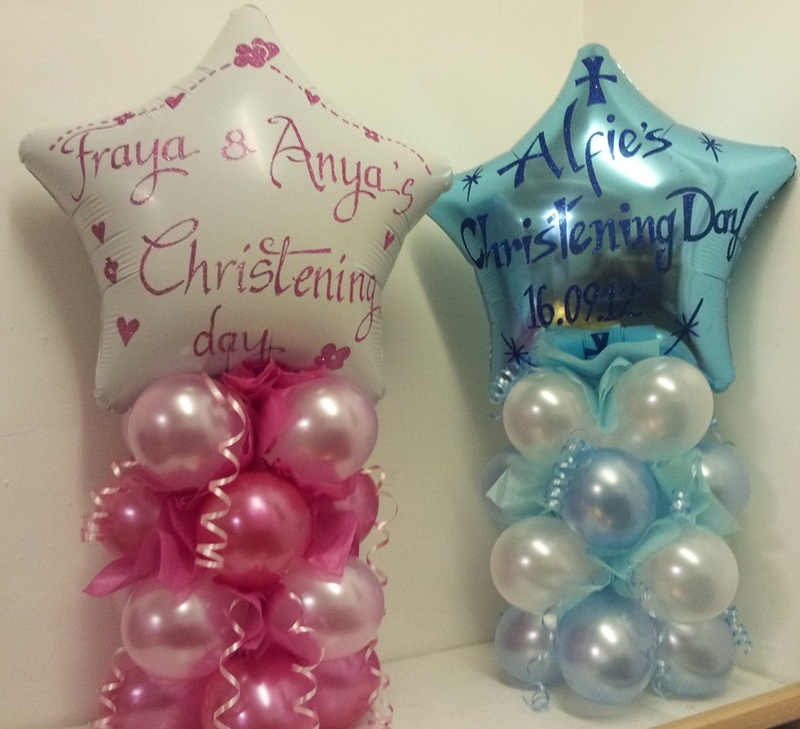 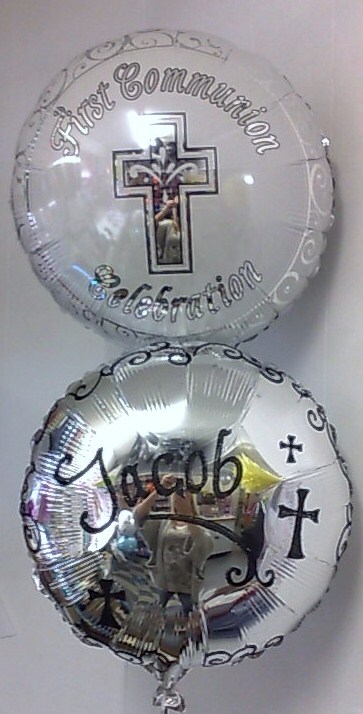 Christening and Baptism foil Balloons available.